The Country Girls’ Approach to Saving Small Lives. Caroline and I are both Colorado country girls. She lives in the mountains at 8,000 ft with a magnificent view of the Continental Divide and I live in the countryside at 5280 ft next to a creek that spills into two ponds.She is a vegan Kundalini yogini and I am not. I eat everything that’s good, all over the world, and bend my left elbow more than any other body part. Yet, I am as interested in saving the world as she is and believe that all sentient beings deserve kindness including the most minute. It is said that even fleas and spiders experience fear and have a desire for happiness, just like the rest of us, so why not follow that creed when it comes to the small creatures that scare us? Women have historically been afraid of mice. They bring a shrill like no other creature, other than perhaps a snake. 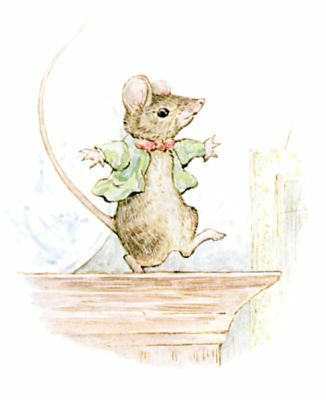 Mice are harmless and they don’t even bite, but they scurry in such a way that unnerves, darting here and there as if they were about to be baked in a pie. They are curious creatures and like to flatten themselves and squeeze into tight spaces. They can sniff out the slightest crumb that one has left in a bag, or a suitcase, nibbling their way through expensive leather and make beds out of your favorite heirloom garments. They can pop up anywhere, out of an old hat or that worn-out basket left behind. It’s safe to say, they are clever, clever creatures. And social. I can be sitting at the kitchen table at night, and see one out of the corner of my eye have the audacity to come from some crack under the sink straight at me. Now of course, it’s not me he/she wants, but the six course crumb meal I have prepared for them unknowingly under my feet. After a while, I think they pick up on the fact that we country girls perhaps are as harmless as they country mice. What to do? For soft-hearted women, a mouse trap just won’t do. It’s excruciating to think of the brutal whack and then the mutilated body. One must resort to live traps. A bit of peanut butter goes in the end, the mouse follows, the little trap shuts and the rest is history. But it doesn’t come without a story. Caroline comes by for an impromptu dinner. We have a nice chat down by the creek while there is still light. We talk about the differences in living by mountains as opposed to water. We appreciate the pink clouds and the rushing stream, then head back to the house for a bite to eat. As I am preparing the meal, I keep hearing this clacking noise. I find a bucket but it has no lid. Luckily, I rummage around quickly and find a container—with a lid—and poke some holes into it, but it’s small. There is nothing like the anxiety of thinking you are going to release the trap into a small space with a flimsy cover knowing that the mouse is going to bolt most likely down ones dress or around ones feet. The very thought of it sends a shrill and a dance in one spot! The very thought! “Not in the house! Please! Take it outside!” I prepared the container with slivered almonds and a paper towel. Valiantly, this lovely sweet lady, fearlessly and calmly releases the mouse into the container. He did not jump down her dress or escape. Even though there was a slight squeal from her lips, the lid went on fast and secure. We left our captive to brood out of doors and settle into his new temporary home. At least it was clear plastic and he could see out. After some relief and altruistic success, we came in to have our supper. The night came on, we laughed and talked and then the time came to leave. I found one curiously on my phone, and we ventured into the night to find our captive. I was worried that perhaps I had not put enough holes in the top. Was he breathing? I shined the light. He barely moved. Oh, I thought. Not enough air. Then we picked up the container to put in the car and he looked at us sleepily. He had made a cozy bed in the paper towel just like Caroline had said. His nuts were gone and he looked at us.. shall I say… affectionately? It was enough to want to keep him as a pet. Goodnight Caroline! Goodnight mouse! Drive safely up the mountain! Not only a life saved…but transformed. I hope he likes the mountains as well as the creek. I wouldn’t be surprised if he follows Caroline home. She’s so brave. It made me think about bravery. Bravery comes when your commitment to do the right thing is stronger than your fear. Sat Nam Karuna.